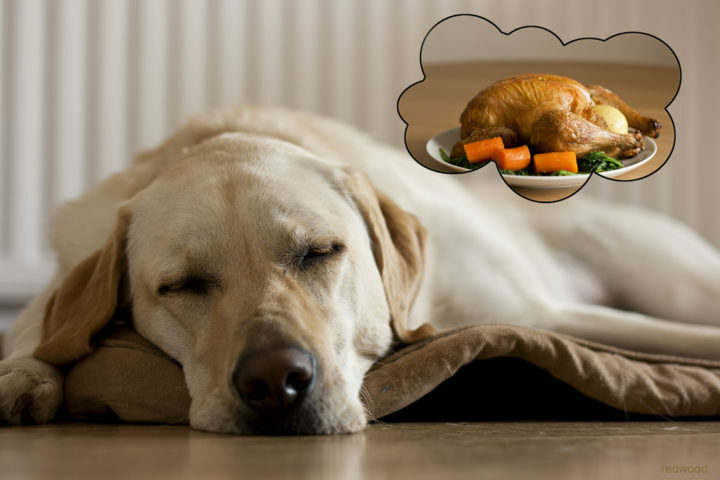 With the holidays just around the corner, it is extremely important to remember the safety and health of our pets, especially when considering sneaking scraps from the dinner plate under the table to Fido or Fluffy. In fact, Petplan has accumulated data that shows veterinarian costs almost double over holiday weekends, particularly when it comes to Thanksgiving. The worst part? Most are common ailments that would have been easy enough to avoid. This season, Petplan veterinarians have put together a special pet-friendly menu, many of which incorporate goodies you probably will already have at hand. Pumpkin Smoothies: This creamy, two-ingredient pumpkin drink earns plenty of woofs and purrs. Paws-itively Peanutty Crudités: Crispy, crunchy veggies and peanut butter (dogs’ favorite!) make a great first course. Simple Sorbet: Tickle tongues between courses with this refreshing ice cube treat. Roasted Turkey Medallions: Turkey, carrots and oatmeal make a delicious, protein-packed entrée. Scrumptious Sweet Potato Cookies: Sweet potato and banana combine into easy-to-make, low-calorie cookies. Portion control: Pet parents should consider the size of their best friend when dishing out dinner (a Chihuahua should not eat as much as a Great Dane!). Overindulging can lead to gastrointestinal upset or even pancreatitis. Trimming the fat: Remember to keep treats to less than 10% of your pet’s daily caloric intake to maintain a healthy diet. 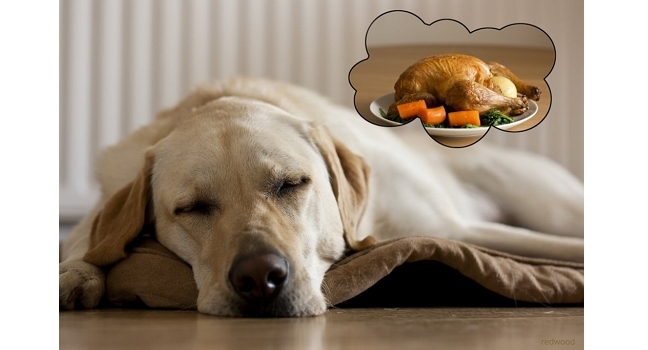 If you’re planning to make Thanksgiving recipes for dogs, adjust the amount of regular chow you dish out in a day. 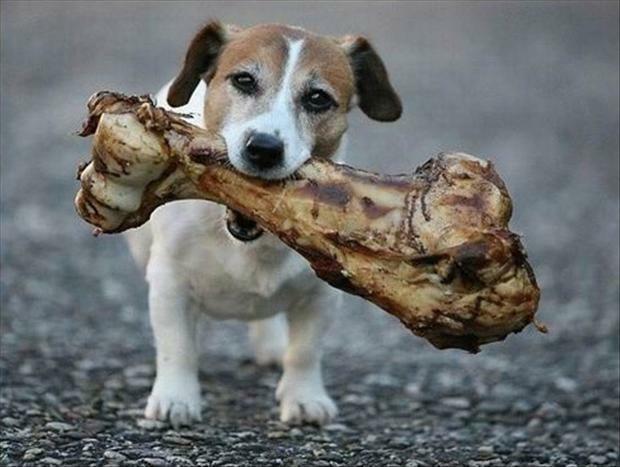 No bones about it: No matter how much they beg, dogs should never be given turkey bones to chew on. These brittle bones splinter easily, and the risk of intestinal blockage or bowel perforation is just too great to ignore! Sharing is caring: A single splurge on Thanksgiving Day is okay, but avoid overfeeding for the rest of the week. Sharing leftovers can be a great gift for neighborhood pups – and is sure to put you on the “Nice” list come Christmas! Most of all, Happy Thanksgiving to one and all! Than you admin for such as very good site for dog. I’d like to share my an important article about dog feeding guide. It is an expert reviews. A dog owner must be benefited. Before published research and published. What is dog food? Dog food is like food wherever applies special formula that supposed for consumption for dog and alternative connected canines if it created by commercially. If not created it commercially therefore no apply any formula to create it. Now I‘ll discuss regarding step by step 3 kinds of dog foods and its advantage and disadvantage.